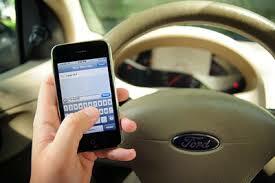 • 84 percent of American teens aged 16 to 17 own cell phones, and 34 percent say they have texted while driving. • 13 percent of drivers aged 18 to 20 who have been involved in car wrecks admitted to texting or talking on their mobile phone devices at the time of the crash. • Despite such statistics, 77 percent of young adults are very or somewhat confident that they can safely text while driving. More than half of them (55 percent) say that it’s easy to do. • In late March, 20-year old Jack Dillon Young crossed the center line of U.S. 83 in rural Texas, slamming into a church minibus in rural Texas. The collision killed 13 people. A witness to the crash, Jody Kuchler, said that Young admitted to him that he had been texting when the accident occurred. • Last July, a 25-year old man in Miami hit two palm trees, crossed the median and landed on top of a northbound car. The police found him dead in his car—with a cell phone in his hand. Witnesses reported seeing him texting as he was moving through an intersection. • In 2014, Laura Maurer, a 40-year-old mother of two from Iowa, killed a man who was operating a tiller near the side of the road. She had pulled over to the side of the road to send a text to a client, then got back on the road. But she found it hard to ignore the pinging that alerted her to a new text message coming in. She took her eyes off the wheel for just a few seconds and hit the tractor. Marvin Beck, a 75-year old grandfather, was ejected and died at the scene. When cell phones started growing in popularity, society’s attitudes about texting while driving were very like those about DUI before the 1980s. Decades ago, the three-martini lunch was a common business practice, and many participants thought nothing of getting into their cars to go back to the office after the lunch was over. Everybody was doing it, so there was really nothing wrong with driving after a few drinks. The anti-DUI campaigns and the new laws seemed to have some effect; for decades, the number of DUI-related fatalities decreased. That changed in 2015, however, when, 10,265 people died in alcohol-impaired crashes, an increase of 3.2 percent from the year before. No one is entirely sure why this changed, but some experts blame it on lack of DUI enforcement. No one wants the distracted driving death toll to rise to the levels of DUI, but it will take changes in public attitudes about texting and driving and changes in state laws to combat such an increase. Changes in laws and in attitudes may take decades to make an impact, so opponents of texting while driving must remain relentless in informing the public about the dangers and in ensuring that states enact strong laws, enforce them, and punish offenders adequately. The experience with DUI laws may have somewhat smoothed the way for anti-texting and driving laws. According to the Governors Highway Safety Administration, 14 states and the District of Columbia ban hand-held cell phone use; 46 states and Washington D.C. ban text messaging for all drivers. The states that don’t ban texting by adults include Arizona, Missouri, Montana and Arkansas; all but Montana ban texting by young adult drivers. Advocates for tougher laws use strategies similar to those adopted by people who successfully advocated for stricter DUI laws. Family and friends of people killed in texting accidents band together to make their voices heard, speaking to the media and lobbying legislators to get them to take action. Their efforts are working. Within the last six months, several states have taken action to discourage texting and driving. In Pennsylvania, the governor signed House Bill 2025 into law last November. The new law makes it possible for a judge to sentence a person convicted of killing someone while texting and driving to an additional five years in jail. The statute was nicknamed “Daniel’s Law” in memory of 68-year old Daniel Gallatin, who was riding his motorcycle when an SUV rear-ended him and dragged him approximately 100 feet. The SUV driver, 43-year-old Laura Gargiulo, received a fine of just $250 dollars and spent only 60 days in jail. Gallatin’s family campaigned hard for the new law to ensure that such drivers would face more severe penalties in the future. At the urging of victims of distracted driving accidents, the Colorado legislature recently increased penalties for that offense from a $50 fine and one point to a $300 fine and four points. The Colorado governor is expected to sign the bill. A new law has made texting and driving in Iowa a primary offense, so police officers can pull over any motorist that they see who is breaking that law. (It had been a secondary offense, so officers had to see the driver doing something else wrong before they could pull them over and charge them with texting and driving.) A driver convicted of manslaughter while texting and driving makes it a class C felony, which carriers a punishment of up to 10 years in jail and fines of up to $10,000. In addition, people seem to be getting the message that distracted driving can be just as deadly as DUI. A poll by the Star Tribune newspaper found that 78 percent of Minnesotans want laws against using cellphones while driving to be as tough (or even tougher) as laws against DUI driving.